Gbogbo ?nyan n' so houn kp? onindjo kan m'b? Have you ever seen this man moving ? Do you think anyone else can do it ? Something, no way you can't beat it. Gbogbo ?nyan n'so kp? onindjo kan m'b? "Gb?do dokoun nou min l? Gb?do dokoun nou min l??? Bo vi viv? wa gb?tch? 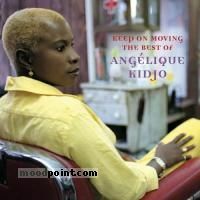 min lo..."
Houn gba fan vi o Na?ma..."
I 've been away for so long that I wonder..."
if you want to see other song lyrics from "Keep on Moving-Best of Angelique Kidjo" album, click "Angelique Kidjo Singer" and search album songs from the artist page. If you know some new information about WOMBO LOMBO, or other song from our site, that isn’t already on song page, please let us know, Any refinement, news, or comment is appreciated. 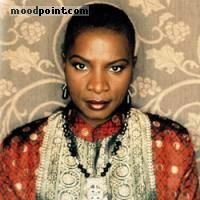 If information about WOMBO LOMBO, or any song from moodpoint directory is wrong, please contact us and write where the incorrect data should be replaced by correct data. Use "Find Lyrics" box on our site, try to use different artist or (and) song title(ex: WOMBO LOMBO) word forms.